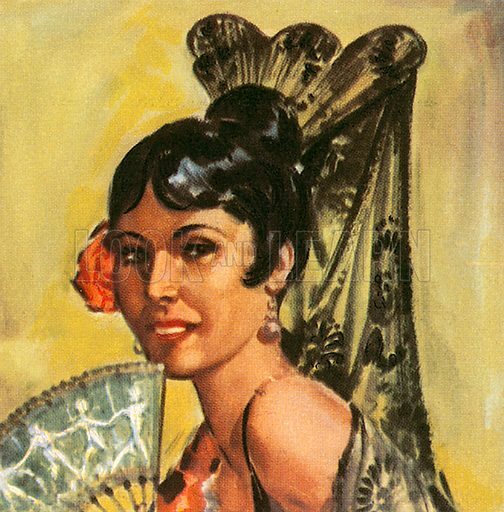 This spanish lady is wearing a traditional headdress called Mantilla. Mantilla means "little cape" in Spanish. Available worldwide for immediate download up to 3,970 x 4,030 pixels.